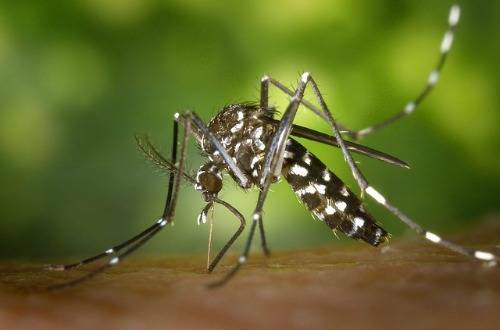 CLEAR FORK VALLEY – Richland Public Health officials have been notified by the Ohio Department of Health, that West Nile Virus (WNV) has been detected in mosquitoes in Mifflin Township. “To be very clear, this is not a human infection case, but our first positive WNV mosquito sample this year,” said Joe Harrod, Director of Environmental Health at Richland Public Health. Health Department officials have already sprayed the WNV positive area to discourage transmittal of the mosquito-borne illness to residents. West Nile Virus is a mosquito-borne virus where human symptoms are generally mild and often mimic the flu. In extreme cases, WNV can cause Encephalitis (inflammation of the brain), Meningitis (inflammation of lining of the brain and the spinal cord) or death. Approximately 80 percent of people who are infected with WNV will not show any symptoms at all. Those who develop symptoms usually do so between three to 14 days after they are bitten by an infected mosquito. There is no specific treatment for WNV infection and care is based on symptoms. The best way to prevent West Nile Virus is to prevent mosquito bites. Richland Public Health’s Mosquito Control Program conducts surveillance, treats, and sprays throughout the season to monitor mosquito populations and mosquito-spread disease throughout the county. Residents are encouraged to eliminate standing water and take precautions to protect themselves and loved ones from mosquito bites. Mosquitoes lay their eggs in standing water, which includes puddles, stagnant ditches, and containers such as old tires, buckets, cans, neglected swimming pools and flower pots. Mosquitoes can carry diseases, including West Nile Virus, which can cause serious illness. It is important to apply mosquito repellent when participating in any outdoor activity when mosquitoes are active. Make sure that doors and windows have tight-fitting screens. Repair or replace all torn screens in your home. Clean and chlorinate swimming pools, outdoor saunas, and hot tubs. If not in use, keep pools/saunas empty and covered. Use insect repellent and follow the label directions.